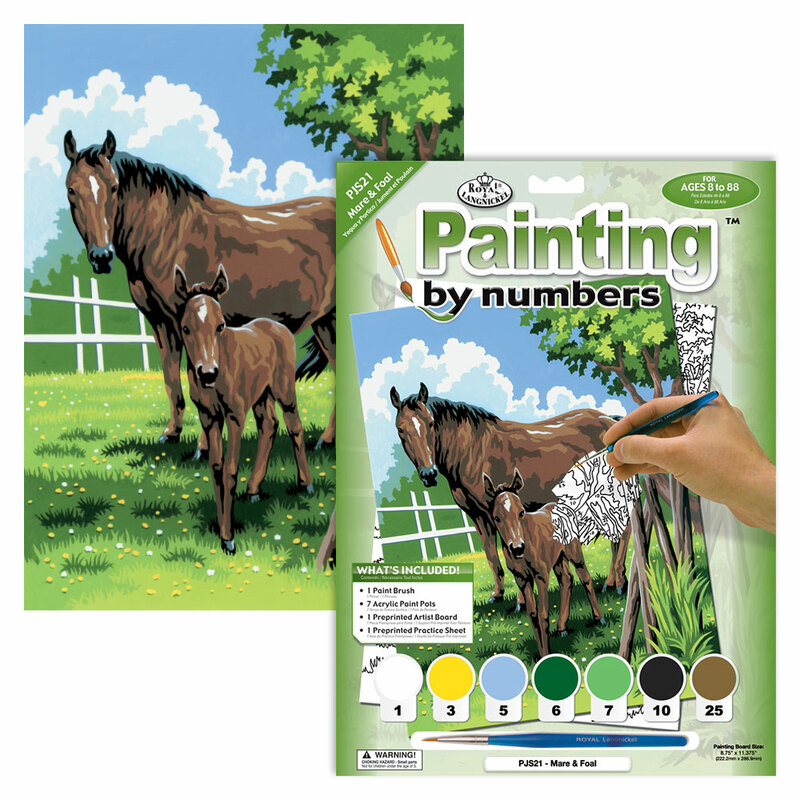 A lovely Painting by Numbers set showing a mare and her foal, suitable for age 4+. In the set you receive a printed picture, the paints needed, a brush and full instructions. What a lovely way to pass the time during the school holidays, rainy days, not forgetting Christmas gifts. All children love to be creative and when it is completed, they can dispay it in their rooms. Something to be proud of.